As a partner of OpenSesame, Speexx will exhibit at the ATD International Conference and Exposition, the largest event for talent development professionals worldwide. ATD features more than 300 exhibitors and offers over 300 top-rated educational sessions. What is new at Speexx? Continuous Learning, Gamification, and Online-Language tests for recruiters. 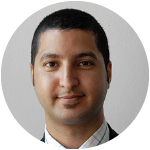 Mehdi Tounsi is MD for USA & Global Alliances at Speexx, the world’s leading online language training provider. With over 20 years’ experience in the learning industry, Mehdi has successfully implemented learning and talent management strategies for various industries, including content providers and LMS platform specialists. Mehdi assists global organizations in meeting the challenges linked to cultural diversity, improving communications within global operations and developing learning programs to enhance workforce mobility. Follow Mehdi on Twitter. With a library of 20,000+ eLearning courses from the world’s leading publishers, OpenSesame helps midmarket and enterprise companies transform their eLearning experience. Leading organizations depend on OpenSesame to train millions of employees. An entirely new and better way—easier, more economical, with less risk—to access the best on-­demand training. With thousands of business, safety, technology, and compliance courses, OpenSesame helps train organizations of any size. OpenSesame and Speexx will exhibit at the ATD International Conference and Exposition, at booth number 1200. For more information, visit www.OpenSesame.com or follow @OpenSesame on Twitter.